This Oriflame Nigeria MLM review will focus on company profile, products, the Oriflame Nigeria compensation plan, especially as Oriflame Nigeria is making quite a buzz in the home based business industry especially since they recently opened Oriflame Nigeria. 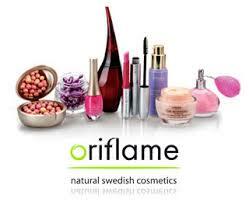 Oriflame is a Swedish company founded by two brothers and a friend back in the 60s. They are now international, spread in over 60 countries worldwide. Their wide array of products is marketed by a sales force of 3.6 million independent consultants, who according to the company website, generate annual sales exceeding 1.5 billion euros which is impressive. Oriflame is in many countries, most of all their recent opening of Oriflame Nigeria is creating a frenzy in people who have a passion for skin care and beauty products. Oriflame Nigeria has a wide variety of products, which are in the parent line. According to their website, they have a range of about 1000 different products, in the categories of fragrances, makeup, beauty, body care, hair, and products for men. For Makeup, the most popular category is tender care, for skin relief, which is mostly for women as is 890 Naira. Followed by the one mascara, which is 1,790 Naira for women, and then Amber Elixir Eau de Parfum which is 5,990 Naira, and a hair restore therapy formula for N4200. You can see that the prices for Oriflame Nigeria products are quite affordable which is good news for beauty enthusiasts. Oriflame is not a scam, but a legitimate business opportunity, which has been around for over 30 years. Like any business, you will only get out what you put in, so your success in Oriflame Nigeria depends on your own efforts and hard work. Oriflame Nigeria like many other MLMS offer a business opportunity for those interested in marketing their products. Oriflame Nigeria offers people the chance to own their own business as Oriflame beauty consultants. You simply have to fill a simple form with the ID of the person who referred you and that seems to be it. Once you pay the initial start-up fee of N1200 then you became an Oriflame distributor or Oriflame sales consultant. The company seems to have a good training system in place, called Oriflame academy, which consists of online training, tools, and e-learning which can equip the newbie for success in the business. Oriflame Nigeria has a Unilevel compensation plan, meaning you can register as many people as you like under you. In Oriflame Nigeria, and in general, money seems to be earned in two ways. Retailing the products. As an Oriflame distributor or Oriflame Sales consultant, you get a discount of like 23% on products, which you can retail. You have access to a product catalog with their prices. Building a team or sales force. 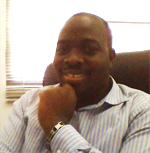 Executive Director, which is the top of the rankings in Oriflame Nigeria. To earn commissions on your team, you have to place a personal order monthly, which seems fair. Oriflame Nigeria gives the normal incentives, like car allowances, all paid expense trips and the other perks which are gotten when you hit the necessary ranks in any MLM. A little peeve from my end (which might not be a problem to others reading this) is that your rank advancement is not just based on volume, but on having team mates of some other rank within your organization. For example, for me to be a senior district manager, I need to have directly sponsored two district managers, as well as the normal volume requirements. I would simply prefer to have my group hit our volume requirements alone and hit the necessary ranks, but like I said, that’s just my view. There is no perfect MLM company or compensation plan. Just pick one you like, and run with it. Oriflame is a great company which has been around for a while and is showing enormous growth and momentum in Nigeria. If you have a passion for beauty products, then you should certainly look at Oriflame Nigeria. However, be prepared to roll up your sleeves and work hard and pay the price, as success in MLM is not easy, but worth it.